This is your year! Can you feel it? This is the year that you stick with your New Year’s resolutions. This is the year that you stop smoking or eating so much junk food. 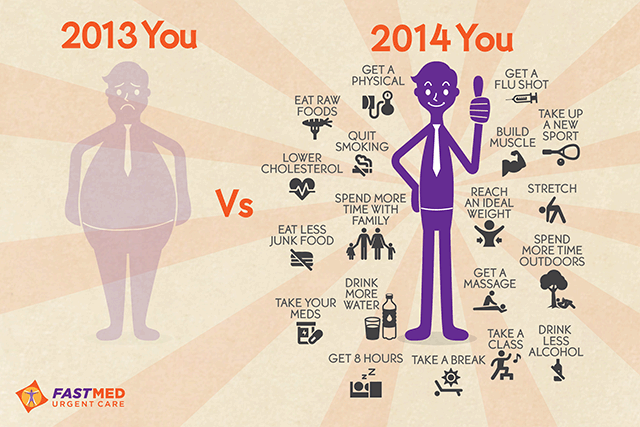 This is the year that you take control of your life and get healthy! Everybody is different, but most of us know that there are some things we can do to be happier, healthier people. 2014 is the year to make it happen. Here’s to the new you!